RCS&RDS Author (RCS&RDS) License: all rights reserved. 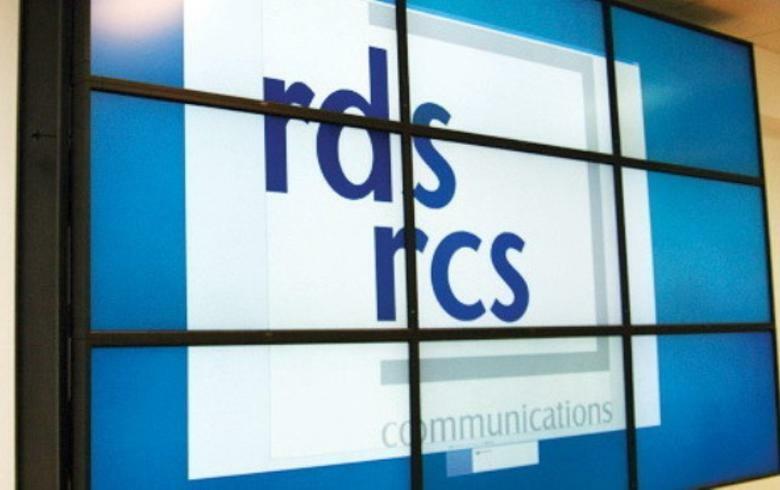 BUCHAREST (Romania), April 26 (SeeNews) - Standard & Poor's Ratings Services said on Wednesday it has upgraded Romanian telecommunications operator, RCS & RDS and its parent company Digi Communications N.V. long-term corporate ratings to 'BB-' from 'B+', with stable outlooks. S&P last reviewed RCS & RDS and Digi Communications N.V.in October 2016, when it upgraded outlook to positive from stable, affirming the 'B+' long-term corporate credit rating. "DIGI Communications N.V. (Digi), parent of Romanian telecom and pay-TV operator RCS & RDS, reported strong revenue growth and market share gains in recent quarters, in particular in mobile operations in Romania where we think it could reach sufficient scale in 2018 to generate positive free operating cash flow (FOCF)," the rating agency said in a statement. At the same time, S&P said it expects Digi's credit ratios will remain strong, despite relatively modest FOCF stemming from continued high investments in growth opportunities. "We are therefore raising our ratings on RCS & RDS and its parent Digi to 'BB-' from 'B+'. The stable outlook reflects our expectation that Digi will continue to report revenue and EBITDA growth, while maintaining credit metrics commensurate with the current rating and prudent liquidity management.," the rating agency also said. Earlier in April, Digi Communications said it intends to list up to 25% of its shares on the Bucharest Stock Exchange through an initial public offering (IPO) in May. Th company's shareholders have also decided to change the name of the company into Digi Communications N.V., from Cable Communications Systems (CCS). RCS&RDS, founded by Romanian businessman Zoltan Teszari, comprises two companies - Romanian Cable Systems (RCS) founded in 1994 and Romanian Data Systems (RDS) founded in 1998. Its parent company, Cable Communication Systems, now Digi Communications N.V, indirectly operates telecoms groups in Hungary, Spain and Italy through RCS&RDS. "The upgrade reflects Digi's strong performance in 2016 and our expectation that its revenue and EBITDA will continue to strengthen in coming years. We also expect credit ratios will remain strong despite relatively modest free operating cash flow (FOCF) stemming from continued high investments in growth opportunities. In 2016, Digi delivered revenue growth of 12.4% supported by solid growth across core segments and in particular in the mobile segment in Romania. After reaching sufficient scale, Digi reached positive EBITDA in the mobile operations in Romania for the first time in the quarter ended June 30, 2016. Digi's mobile market share in December 2016 was 12% and could grow further in coming quarters, since we expect their 4G coverage to gradually increase and that further investments will result in additional revenues from mobile telephony and data. As a result of increasing scale, we expect FOCF for Digi's mobile operations in Romania to turn positive in 2018, once the network roll-out has been completed. Digi's operations have also been solid in the cable and fixed-line segments in Romania and Hungary. In 2016, Digi saw subscriber growth in these segments of 5%-7% in Romania and 10%-13% in Hungary. Despite our anticipation of larger scale and growing operating cash flow in coming years, we think that FOCF will remain only modest, although FOCF to debt could approach 5% in 2017. This is because Digi has a track record of meaningful capital expenditure (capex), although to support growth, and we expect that the company could at some stage start mobile operations in Hungary after acquiring a 5 megahertz (MHz) frequency block in the 1800MHz spectrum in 2014 and most recently four 5MHz frequency blocks in the 3800MHz spectrum in May 2016. However, we expect potential investments in Hungary to be contained and spread over years so that adjusted debt to EBITDA will remain below 3x. On April 11, 2017, Digi announced its intention to float on the Romanian stock exchange. We understand at this stage that a potential listing would have no impact on the capital structure or the dividend policy (although IPO-related costs or small dividend payments could impact cash flows in 2017). Our assessment of Digi's business risk profile remains constrained by the company's relatively small, albeit growing, scale, limited geographic exposure and intense competition from large players with stronger financial flexibility. Digi has some geographic diversification through its operations as a mobile virtual network provider in Spain and Italy, still nearly 90% of Digi's revenues are generated in two relatively small economies, Romania and Hungary. Furthermore, Digi is facing strong competition in these markets and its mobile market share of 12% in Romania is still far behind market leaders Orange (36%), Vodafone (32%), and Telekom Romania (21%). Furthermore, we expect continued strong competition and price pressures in fixed and cable segments, which we expect will leave very little room for price increases and translate into unchanged average revenue per user over the coming year. These weaknesses are partly offset by the company's solid market shares in its main segments, its state-of-the-art network, a degree of diversification, and stable profitability. Digi is the market leader in Romanian pay-TV and fixed internet, with a market share of nearly 50% in both segments, and is also the No. 2 in fixed-line telephony with a 34% market share. The company has a solid position in those segments in Hungary. Digi offers internet speeds of between 300 megabits and 1 gigabit per second and easy connection, providing a competitive edge. Furthermore, Digis' 3G (third generation) network coverage of the Romanian population was 98% in 2016. Digi is also rolling out a 4G network that currently covers about 37% of the Romanian population, and we expect it will reach 70% by 2018. Digi is diversified in terms of products and technologies, offering cable and satellite TV, fixed telephony, and internet in Romania and Hungary. In Romania, it offers mobile voice and data services and, in Hungary, it is a reseller of mobile broadband. We forecast that the company's adjusted EBITDA margin will be just below 30% in the coming years, a level we think is aligned with peers' given Digi's diverse product offering. Our adjusted EBITDA figure excludes the amortization of content rights because we view these rights expenditures as recurring operating expenses. Digi acquires content rights that it capitalizes and subsequently amortizes. Our assessment of Digi's financial risk profile remains constrained by the company's minimal FOCF generation. However, with continued strong growth and increasing EBITDA, we believe that the company has reached sufficient scale to maintain positive, albeit small, FOCF in coming years, despite still meaningful capex. These weaknesses are partly offset by Digi's lower leverage than that of most European cable players, funds from operations (FFO) to debt of about 24% in 2016, and robust EBITDA interest coverage at about 5.0x. Our rating on Digi also includes significant currency risk exposure that could affect its debt and profitability. We note that currency risk was reduced after the refinancing in October 2016, as the euro-denominated debt is now about 48% of total debt, compared with 65% previously. However, we still think the company remains exposed to currency risk as cash inflows are primarily in local currencies where the company has its main operations. In addition, profitability could also be impacted by currency fluctuations because 50% of costs are in foreign currency. However, we acknowledge that both the Romanian leu and the Hungarian forint have been relatively stable against the euro since 2009. The stable outlook reflects our expectation of continued revenue and EBITDA growth, resulting in adjusted debt to EBITDA at or below 3.0x and FFO to debt above 25%, and modest but positive FOCF. We also anticipate continued prudent liquidity management. We could lower the rating if revenues and EBITDA growth were weaker than expected, resulting in leverage above 3.5x, FFO to debt at or below 20%, or if FOCF turned negative. Although unlikely, we could also take a negative rating action if liquidity weakened. Rating upside is unlikely but we could raise the rating if adjusted debt to EBITDA was below 2.5x, FFO to debt above 30%, and FOCF to debt well above 10%. Further reduction in currency risk could also support an upgrade."